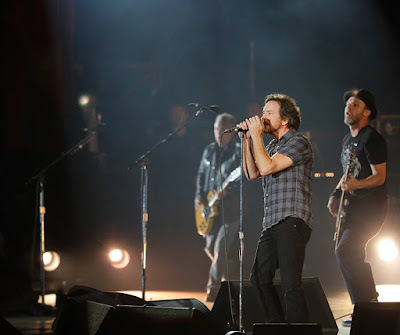 Pearl Jam headlined the Global Citizen Festival in New York’s Central Park on Saturday. The concert is part of a campaign to end extreme poverty by 2030, one of three platforms of a new Global Goals initiative announced by the UN General Assembly; the plan also involves fighting inequality and actions to protect the planet. Saturday’s event also saw performances by Beyonce, Ed Sheeran and Coldplay - whose lead singer, Chris Martin, is the creative director of the annual event. Pearl Jam will launch a month-long tour of South America in November.